The extremely mild weather last week was very beneficial as deer hunters checked 72,814 white-tailed deer during Ohio’s 2017 weeklong deer-gun hunting season, according to the Ohio Department of Natural Resources. Last year, hunters checked 66,758 deer over the weeklong deer-gun season. Opening day was impressive with 22,366 deer checked in. A big part of the success was attributed to the lack of rain or storms moving through the state all week. If anything, it was almost too warm as many complained of a lack of deer movement towards the end of the week. Adult hunters were more fortunate than the youth who had to deal with the flooding during their weekend season. Only 4,958 deer were checked in during the youth season, which was down nearly a thousand from last year. 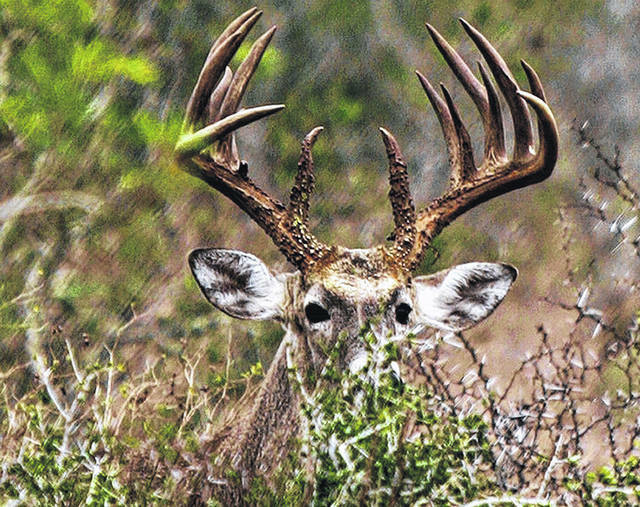 Locally, the numbers harvested this year was very comparable to last year’s gun season with only Richland County seeing a significant increase. In Crawford County, 615 deer were checked vs. 569 last year. In Morrow County the numbers were 657 this year vs. 626 in 2016, and in Richland County, 1,343 deer were checked last week vs. 1,228 during the same period last year. Two days (Saturday, Dec. 16, and Sunday, Dec. 17) of deer-gun season remain. Sears Woods in Bucyrus closed Saturday, Dec. 16: Sears Woods State Nature Preserve will be closed to the public Dec. 16 for a controlled deer hunt sponsored by The Division of Natural Areas and Preserves and the Crawford Park District. This hunt is only open to previously-selected hunters. For information, call the Crawford Park District at 419-683-9000. Find more information about deer hunting in the 2017-2018 Ohio Hunting and Trapping Regulations at wildohio.gov. Past year’s harvest summaries and weekly updated harvest reports can be found at wildohio.gov/deerharvest. The muzzleloader season is Jan. 6-9, 2018, and archery season remains open through Sunday, Feb. 4, 2018. Find more information about deer hunting in the 2017-2018 Ohio Hunting and Trapping Regulations or at wildohio.gov. The ODNR Division of Wildlife remains committed to properly managing Ohio’s deer populations. The goal of Ohio’s Deer Management Program is to provide a deer population that maximizes recreational opportunities, while minimizing conflicts with landowners and motorists. Ohio ranks fifth nationally in resident hunters and 11th in the number of jobs associated with hunting-related industries. Hunting has a more than $853 million economic impact in Ohio through the sale of equipment, fuel, food, lodging and more, according to the National Shooting Sports Foundation’s Hunting in America: An Economic Force for Conservation publication. • Hunters harvested 1,053 wild turkeys during Ohio’s 2017 fall wild turkey season, according to the Ohio Department of Natural Resources. Ohio’s 2017 fall wild turkey hunting season was open in 67 counties from Oct. 14-Nov. 26. This year, 11 counties were open during the fall turkey season for the first time. Wild turkeys were extirpated in Ohio by 1904 and were reintroduced in the 1950s by the ODNR Division of Wildlife. Ohio’s first modern day wild turkey season opened in the spring of 1966 in 9 counties, and hunters checked 12 birds. The wild turkey harvest topped 1,000 for the first time in 1984. Spring turkey hunting opened statewide in 2000. Fall turkey season first opened in 19 counties in 1996 and harvests have fluctuated between 1,000 and 3,000 turkeys during that time period.For summaries of past turkey seasons, visit wildohio.gov/turkeyharvest. • Meanwhile, the mild weather has made it a dismal two weeks of duck hunting. There just hasn’t been any reason for too many ducks to be moving south yet. Things should change in the upcoming week. Although the winds are predicted to be out of the southwest for the next ten days instead of the north, the night time teens predicted for this weekend will lock up most of the shallow water marshes with ice and that will push a few birds down to us. Hopefully things will improve before our big waters freeze up in the next few weeks. File photo Dec. 16 and 17 are the two days remaining in Ohio’s deer-gun season. 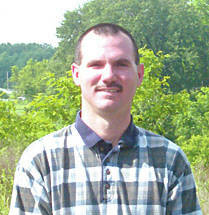 Sears Woods in Bucyrus will be closed Dec. 16 for a controlled hunt. https://www.galioninquirer.com/wp-content/uploads/sites/38/2017/12/web1_Ken-Parrott-color-1.jpgFile photo Dec. 16 and 17 are the two days remaining in Ohio’s deer-gun season. Sears Woods in Bucyrus will be closed Dec. 16 for a controlled hunt.